An Obama appointed judge has ordered a 41% white school in Mississippi to "desegregate" and merge with an almost entirely black school with only two non-black students. JACKSON, Miss. — After 51 years of litigation and three earlier plans to desegregate schools in a Mississippi Delta district, a federal judge says more work is still needed. 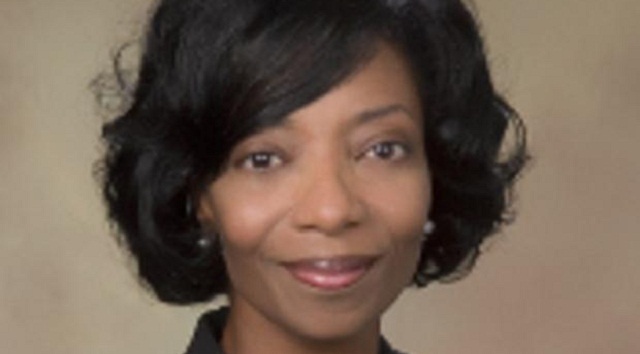 U.S. District Judge Debra Brown ruled that the town of Cleveland must merge its two high schools and two middle schools. "The delay in desegregation has deprived generations of students of the constitutionally guaranteed right of an integrated education," Brown wrote in Friday's 96-page opinion. "Although no court order can right these wrongs, it is the duty of the district to ensure that not one more student suffers under this burden." 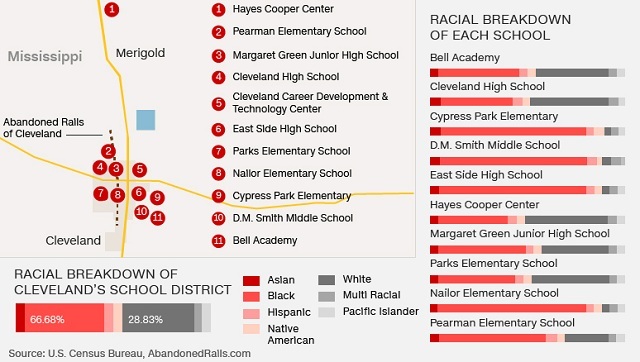 [...]Brown ordered the district to merge East Side High, where all but one student is black, with Cleveland High, where 48 percent of students are white and 45 percent are black. Similarly, the district must merge D.M. Smith Middle, where all but two students are black, with Margaret Green Junior High, where 41 percent of students are white and 54 percent are black. Across the entire 3,700-student district, about 29 percent of students are white and 67 percent are black. The state counts the remainder as Asian or Hispanic. "The court concludes that the continued operation of East Side High and D.M. Smith as single-race schools is a vestige of discrimination and that, therefore, a plan which allows such continued operation must be rejected," the judge wrote. The school district presented expert testimony that white parents were likely to flee to private schools. Beyond Cleveland, only four of 22 other districts in Mississippi's Delta region have student bodies less than 80 percent African-American. In three different major newspapers -- the Washington Post, the New York Times, and the Clarion Ledger -- not one single word seriously criticizing the decision was published, no interviews with parents, nothing. Yet a simple look at the comments on YouTube shows an entirely different picture, with students expressing fear over the plan and correctly pointing out their schools already are heavily integrated. In April, I covered the story of Giovanni Micheli, a white student in New York who said he was assaulted and harassed at a majority Hispanic and black school "for being white." The state settled with Micheli just a week later. Just two weeks ago, I covered how a "race riot" broke out at a LA high school between blacks and Hispanics in the "most diverse district in nation." For many, being a minority stuck in a diverse school is not a pleasant experience, hence the phenomena of "white flight."